The round of 16 has just been concluded and we saw some shocking outcomes. England was famously defeated by a hard working Iceland team of heroes, and Spain failing to penetrate a resilient Italian defence. 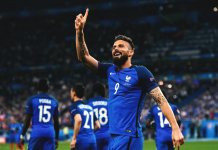 Some players from the eliminated teams really lit up the Euros and I do not lie when I say the competition will not be the same without them. Here we pick our best eliminated 11. 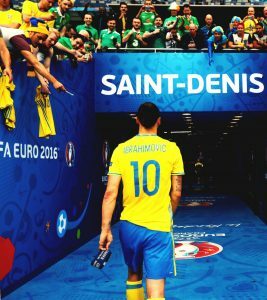 He is definitely one of the best in the world at the moment, despite a horrible tournament. Some would say he played a big part in Spain’s elimination, being the cause of Italy’s first goal, but that should not overshadow the brilliant saves he made throughout the competition, one of them being Pelle’s brilliant header, Giaccherini’s overhead kick and Eder’s one-on-one. 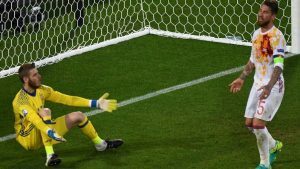 The Manchester United stopper would have loved to go further in the tournament, but his heroics just wasn’t enough to keep Spain in the tournament. No, I am not a Liverpool fan, but the Liverpool full back was arguably the best player on the pitch in England’s match against Slovakia. He burst forward throughout, creating chances and offering width to remind Roy Hodgson why he is Liverpool’s first choice. 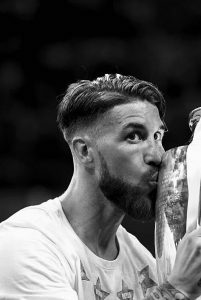 You could argue he wasn’t as good as his real Madrid form, but there’s no contesting the fact that Sergio is one of the best centre halves in the world at the moment. His pairing with Pique was questionable at times, but in all, the competition will miss this captains aggressive tackles and air prowess. 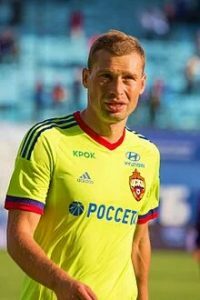 The CSKA Moscow centre half would have loved to help his side to a better result than being eliminated in the group stage, as shown by his late equalizer against England. He captained the injury-struck side to the best of his ability and will not be faulted for their elimination. David Alaba’s consistently brilliant play at Bayern means he hardly needs an introduction; what may take some getting used to for viewers of Austria is seeing him play in central midfield. Here we put him back in his natural full back position, because that is where he amazes us the most. He didn’t impress much in the playmaking position he was given, but in all Alaba is still exceptional. Showed us he isn’t just a great player when paired with Madrid’s other great players. He stole the show in Croatia’s opening match against Turkey and blessed us with a wonderful strike which was the only goal in in the match. 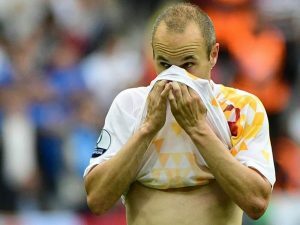 He will definitely be remembered for thwarting club teammate Sergio Ramos’ PK attempt in the match against Spain. The Spanish maestro turned out to be Spain’s saviour in their first two games with an inch perfect cross to Gérard Pique condemning the Czech Republic to a one nil loss and another hell of a performance against a lacklustre Turkey side which drew comparisons with the bald headed manager of Real Madrid, Zinedine Zidane – a true legend of the game. We will miss his key passes and overall magic as he joins the ever growing list of players outwitted by Conte’s tactics. Rakitic is a class act. The Croatia midfielder is a lot faster than you think, has exceptional vision and spots passes at such high speed that defenders don’t have time to work out what he’s planning. The Barcelona man was absolutely brilliant against the Czech Republic. Shaqiri’s sensational overhead kick will definitely be in contention for goal of the tournament, unfortunately it wasn’t enough to keep Switzerland in contention for the title after Granit Xhaka’s shootout miss saw them crash out in the round of 16. The Manchester United youngster wasn’t given much of a chance in the competition, but we all saw what he was capable of in the brief cameos he made, especially in the Iceland match where he had three dribbles in the four minutes he played, better than Harry Kane had all 90 minutes. The self-crowned king of controversy, The Swedish attacker didn’t make much of an impact in the competition but the outspoken man will definitely be missed in the remaining part of the tournament as no one’s ego is big enough to fill the hole he left.